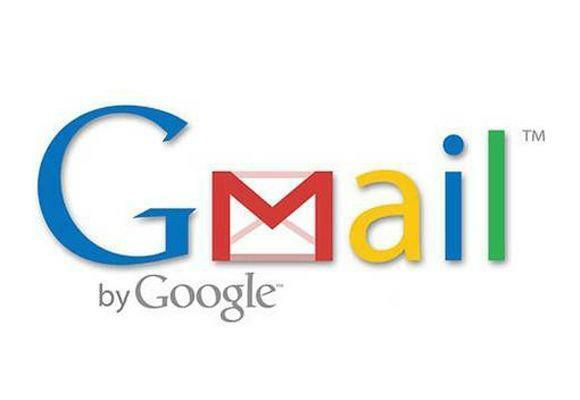 Gmail is powerful and flexible, but not everybody's using it to its full advantage. You can beef it up by applying these tips and tools to customise and extend it. You can activate and customise Priority Inbox by clicking Settings --> Priority Inbox; from there, you can tailor your Priority Inbox sections, train Priority Inbox to recognise messages important to you and more. See my recent blog post for some tips for using Priority Inbox, along with a look at some refinements that might be coming for the feature. Desktop e-mail software includes signals to let you know when you have new mail, by playing a sound or displaying a pop-up notifier. Google's free Google Notifier does the same thing for Gmail. It runs on your desktop and lets you know when you have new mail. Unfortunately, it can't be configured to show you only new Priority Inbox messages; it shows you all new messages in your in-box. This tip can save you from major security headaches: Gmail can be configured to show a special icon next to e-mail coming from eBay and PayPal to verify that the e-mail is legitimate and comes from the sender it appears to be from. This will help protect you from being phished. To activate the feature, go to Settings --> Labs and enable "Authentication icon for verified senders." Add a "Mark as Read" button to the row of buttons at the top of Gmail, so you can mark a message as read without opening it. Otherwise, you'd have to click the "More Actions" menu to do the same thing; I'm exhausted just thinking about the extra work entailed. Add a "Send & Archive" button to the outgoing message composition window, to send your reply to a message and archive the conversation in one click. Before the availability of this feature, Gmail users had to send e-mail, then archive the conversation by clicking separately. How did we ever bear it? View multimedia content inline in your e-mail. Enable "Flickr previews in mail," "Google Maps previews in mail," "Picasa previews in mail," and "Yelp previews in mail" to view the content of links to those services inline in your mail messages. Similarly, Google Voice users will want to enable "Google Voice player in mail" to listen to their Google Voice messages in e-mail. * "Default 'reply to all' " makes "reply to all" the default option when replying to messages, rather than "reply to sender" being the default. * "Don't forget Bob" suggests additional recipients when you're composing a message. * "Got the wrong Bob?" warns you if it thinks you've misaddressed a message. * "Auto-Advance" changes the default action when you delete, archive or mute a conversation. Instead of returning to your in-box, which is the default behavior, Gmail instead opens the next conversation, saving you a click. * "Sender Time Zone" tells you what time it is at the location the sender sent the message from. Rapportive, which runs in Chrome, Firefox, Safari and the Mailplane Gmail client, shows you a box of information about message senders, positioned next to e-mail messages. It can show you a picture of the sender (if it's available on the Web), as well as recent tweets and other social media activity. It's extremely handy when it comes to e-mails from strangers; it literally attaches a face to the e-mail address. Rapportive works by cross-referencing the sender's e-mail address with online public databases such as Gravatar, Google Profiles, Twitter, RapLeaf, LinkedIn and more. (Users can also enter and update their own information with Rapportive.) If one of those services has a profile picture of the message sender, Rapportive displays that image next to the sender's e-mail, along with links to the sender's Twitter, LinkedIn and other social media pages. Rapportive says it uses only public information from those services. In other words, if your Facebook privacy settings say that only friends can see your Facebook profile picture, Rapportive won't show it to others in Gmail. But still, Rapportive might seem creepy to people who don't know how much information about them is public, so use it with caution (or, to be more candid, disclose that you're using it with caution). For example, in January I had a business meeting with a woman who works outside the computer and technology industry. She was in the final weeks of work before going on maternity leave and was extremely pregnant. A few weeks ago, I heard from her again in e-mail, and Rapportive showed me her profile, along with a picture of her with her baby. I started to reply with a note that she and her baby looked great -- but then I thought to myself, "This woman isn't immersed in the Internet and social media as I am; if I tell her I've seen this picture, it will just alarm her unnecessarily." So I held back. Boomerang for Gmail from Baydin lets you schedule e-mail to send later. It installs as an extension in Firefox or Chrome and adds a big "Send Later" button to the top of your compose window. Use it to schedule e-mail to go out in an hour, or tomorrow, or next month -- anytime in the future, even if your computer is offline or shut down completely. Mailplane is a fully functional Gmail client for the Mac only. It's a Web browser that's customised for use only with Gmail; it doesn't have an address bar, and you can't use it to open any Web sites other than Gmail. That means Gmail is always open on your desktop, and if you have multiple Gmail and Google Apps accounts, you can stay logged into an unlimited number of them simultaneously. I use Mailplane as my primary mail client. It costs $24.95, and you can try it for free for 30 days. You don't have to have an @gmail.com address to use Gmail. Sign up for Google Apps, and you can use Gmail's webmail client with your own domain. The Standard Edition is free and supports up to 50 users. It's great for individual users and small businesses (it's the plan I use). Warning: Aggregating your employer's e-mail into Gmail could violate security policies and confidentiality regulations. If you're an end user, check with your IT manager for permission, and if you're an IT manager, check with your company's compliance officers. Gmail will occasionally poll the external server for new messages. The more frequently you get mail on that server, the more frequently Gmail will poll. You can speed things up even more by going to Settings --> Labs and enabling "Refresh POP accounts"; that adds a link to the top of your Gmail that allows you to poll external POP servers manually. When you have Gmail checking mail from remote servers, you can also configure Gmail to send mail using your e-mail address on that remote server. Configure that by going to Settings --> Accounts --> Send mail as. If you do that, it'll be obvious to the recipient on some e-mail systems, with a glance at the "From" address, that the message came from Gmail and not the remote server -- it will say something like "<my Gmail address> on behalf of <my alternate address>" or "<my alternate address> (sent by <my Gmail address>)." In other cases, your recipient will be able to see your Gmail address by examining the e-mail headers. To solve that problem, you can configure Gmail to use the remote address's SMTP server to send the e-mail. Get the remote SMTP address when you get the POP3 address, and configure both at the same time. Warning: As with the previous tip, don't attempt to use your employer's SMTP server without getting permission first. Many IT administrators will have blocked this option for an enterprise system. In Gmail, go to Settings --> Accounts --> Send mail as. If you're setting up a new "Send mail as" address, click "Send mail from another address" or "Add another email address you own," depending on which version of Gmail you're using. If you're editing an existing address, locate that address in the list and then click "Edit info." Either way, once you've gotten started on the configuration, just follow the instructions in the wizard to finish. With Google Apps, you can aggregate e-mail from multiple domains. This is better than fetching it remotely; it's faster because incoming e-mail goes directly to your Google Apps account. Also, you don't have to mess with SMTP settings. To configure, go to Settings --> Manage this domain --> Domain settings --> Domain names, and follow the instructions to add a domain. Google rolls out new and experimental Gmail features to individual Gmail users first, holding them back from Google Apps customers until later. Adventurous Google Apps administrators can get new features faster by digging into the Control Panel. Select Manage this domain --> Domain settings --> General --> New services and pre-release features. Check "Automatically add new services when they become available," and also check "Enable pre-release features." Also, under "Control Panel" select "Next generation (U.S. English only)." Warning: These settings are deliberately buried to make sure users know they're getting access to experimental features. If you're not willing to run the risk of your e-mail getting wonky, just leave the default settings alone, and you'll get new Gmail features after they've been tested by other people. It's safer that way. On the other hand, I've had these settings activated for a long time and have never had a problem. Mitch Wagner Follow me on TwitterVisit my LinkedIn pageFriend me on Facebook is a freelance technology journalist and social media strategist.